Harlee (Jennifer Lopez) and Wozniak (Ray Liotta) lead a manhunt for the gunmen who ambushed the crew and unearth the key to taking down Bianchi (Ritchie Coster). The crew bands together against the threat of Verco (guest star Dov Davidoff) who has finally obtained evidence of their corruption. Stahl (Warren Kole), suspended from the FBI, goes rogue to complete his quest to link Harlee to Miguel’s death. Also starring Drea de Matteo, Dayo Okeniyi, Vincent Laresca, Hampton Fluker, Sarah Jeffery and Gino Anthony Pesi. Guest starring Anna Gunn, Margaret Colin, Leslie Silva and Cameron Scoggins. Air Date: Sunday, 05/07/2017 (10:00PM – 11:00PM) on NBC. HARLEE DISCOVERS SOMEONE HAS BEEN TEXTING CRISTINA AS MIGUEL. The case of a missing kid leads Wozniak (Ray Liotta) to uncover a local dealer who uses underage mules and reminds Loman (Dayo Okeniyi) of what their unit is all about. The crew gets caught in a brutal ambush. Also starring Drea de Matteo, Warren Kole, Vincent Laresca, Hampton Fluker and Gino Anthony Pesi. Guest starring Dov Davidoff, Michael Laurence, Leslie Silva and Cameron Scoggins. Air Date: Sunday, 04/30/2017 (10:00PM – 11:00PM) on NBC. Wozniak (Ray Liotta) goes after Bianchi (guest star Ritchie Coster) for breaking their agreement. 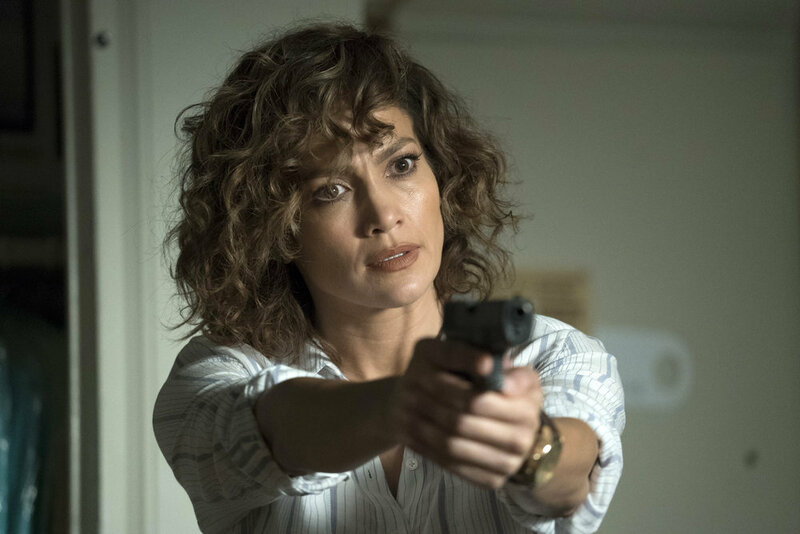 Harlee (Jennifer Lopez) seizes the opportunity to unite the team around an illegal mission to repay Tufo’s (Hampton Fluker) brother’s debt to a local drug dealer. Stahl (Warren Kole) heightens the stakes making good on his threat to go after the crew. Wozniak faces the impossible decision to pick between his team and Ayres (guest star Anna Gunn) just as his son, Nate, makes an effort to reunite. Guest starring Michael Laurence, Leslie Silva and Cameron Scoggins. Air Date: Sunday, 04/23/2017 (10:00PM – 11:00PM) on NBC. 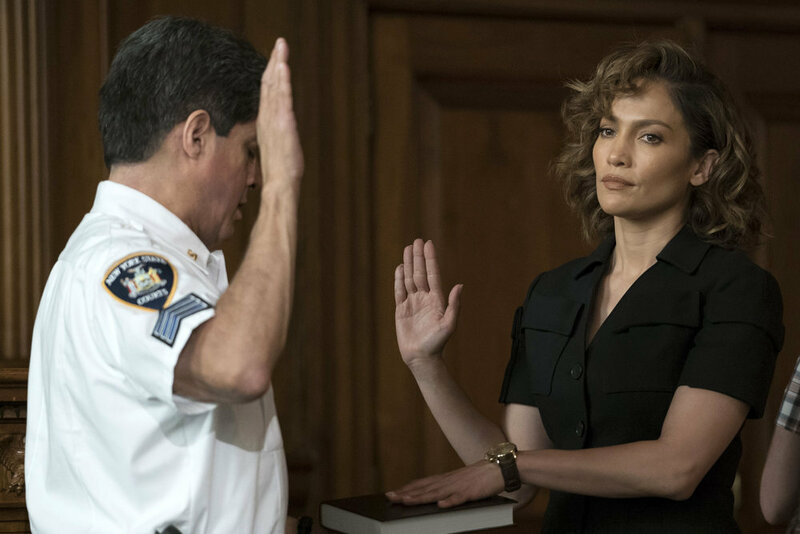 Following Harlee’s (Jennifer Lopez) brave confession to the entire crew that she has been informing for the FBI, the team grapples with Harlee and Wozniak’s (Ray Liotta) betrayal. With their team falling apart, Harlee and Wozniak come up with a desperate plan to neutralize Bianchi (guest star Ritchie Coster). However, their actions have unforeseen consequences because the Mafia fires back. Also starring Drea de Matteo, Warren Kole, Dayo Okeniyi, Vincent Laresca, Hampton Fluker, Sarah Jeffery and Gino Anthony Pesi. Guest starring Michael Laurence and Margaret Colin. Air Date: Sunday, 04/16/2017 (10:00PM – 11:00PM) on NBC. 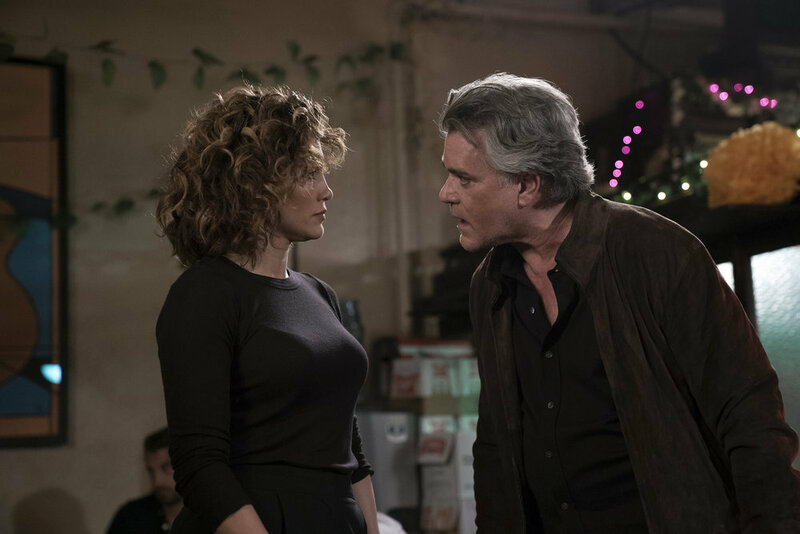 Harlee (Jennifer Lopez) and Wozniak (Ray Liotta) investigate Caroline’s (Nava’s ex-fiancée) murder, putting Harlee and Nava’s (Gino Anthony Pesi) relationship in an awkward place because she can’t reveal her connection to the crime or the methods she will use to solve it. Wozniak focuses on determining which member of his crew is informing to Verco (guest star Dov Davidoff) as Loman (Dayo Okeniyi) uncovers a much deeper secret. Also starring Drea de Matteo, Warren Kole, Vincent Laresca, Hampton Fluker, Sarah Jeffery. Guest starring Margaret Colin, Michael Laurence, Tre Davis and Mimi Michaels. Air Date: Sunday, 04/09/2017 (10:00PM – 11:00PM) on NBC. HARLEE IS FRAMED BY THE MOB AS WOZNIAK STRUGGLES TO KEEP THE CREW UNITED UNDER A GROWING NUMBER OF THREATS. The mafia seeks revenge on Harlee (Jennifer Lopez) by framing her for murder. As Harlee works against the clock – and her own crew – to cover her tracks, Wozniak (Ray Liotta) fights to keep his cop-family together when evidence of an old crime puts pressure on the already splintering team. Stahl (Warren Kole) cozies up to Cristina (Sarah Jeffery), getting one step closer to the truth about Miguel. Also starring Drea de Matteo, Dayo Okeniyi, Vincent Laresca, Hampton Fluker and Gino Anthony Pesi. Guest starring Anna Gunn, Dov Davidoff, Margaret Colin and Michael Laurence. Air Date: Sunday, 04/02/2017 (10:00PM – 11:00PM) on NBC. Realizing that Stahl (Warren Kole) will stop at nothing to arrest Julia Ayres (guest star Anna Gunn), Harlee (Jennifer Lopez) decides to investigate on her own and determine whether there’s any truth in his allegations of Ayers’ active business with the mob. Wozniak (Ray Liotta) is confronted with a drug case that forces him to face the darkest demons from his past, his daughter’s death, while exposing the origin of his loyalty to Ayres. Air Date: Sunday, 03/26/2017 (10:00PM – 11:00PM) on NBC. WOZNIAK AND HARLEE TRACK DOWN A DANGEROUS RIVAL IN A RISKY PLOY TO MAKE A TRADE WITH THE FEDS. After Wozniak (Ray Liotta) refuses to play ball with the FBI, Stahl (Warren Kole) turns up the heat on Harlee (Jennifer Lopez) who lands in the middle of Wozniak’s dangerous plan to free himself from the Feds by reeling in a bigger fish. Meanwhile, Internal Affairs Officer Verco (guest star Dov Davidoff) applies pressure to each member of the crew to discover what really happened to Donnie Pomp. Guest starring Anna Gunn, Stephen Lang and Cameron Scoggins. Air Date: Sunday, 03/19/2017 (10:00PM – 11:00PM) on NBC. WOZNIAK GOES TO WAR WITH AGENT STAHL OF THE FBI WHILE HARLEE FINDS HERSELF IN THE MOB’S CROSSHAIRS. Following Wozniak’s (Ray Liotta) discovery that Stahl’s (Warren Kole) target is his close friend and Mayoral Candidate, Julia Ayers (guest star Anna Gunn), Wozniak launches an all-out war with Stahl. 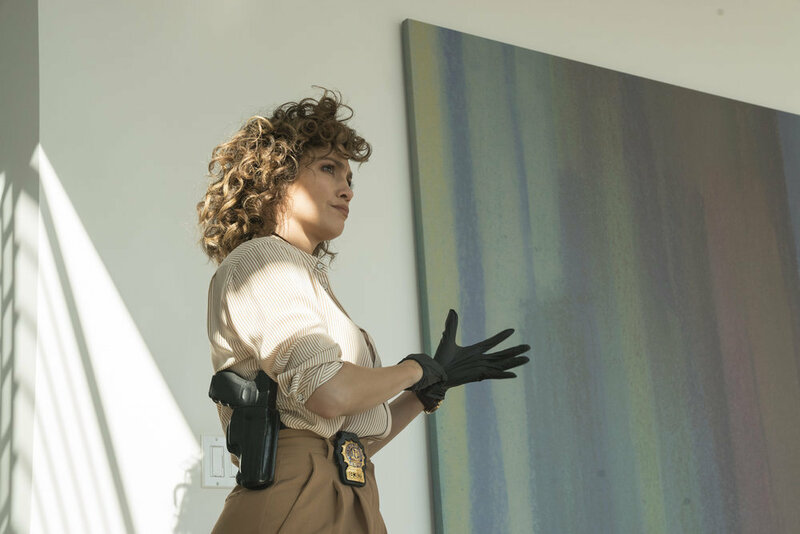 Meanwhile, Harlee (Jennifer Lopez) dives into an investigation that takes an unexpected turn into her own past – and ultimately throws her in the cross-hairs of Wozniak and the FBI. At the precinct, a new, unwelcome presence threatens to uncover the crew’s deepest secrets. Guest starring Margaret Colin and Dov Davidoff. Air Date: Sunday, 03/12/2017 (10:00PM – 11:00PM) on NBC. SEASON PREMIERE: HARLEE COVERS UP HER MURDER WHILE WOZNIAK MAKES HIS OWN DEAL WITH THE DEVIL – AGENT STAHL OF THE FBI. 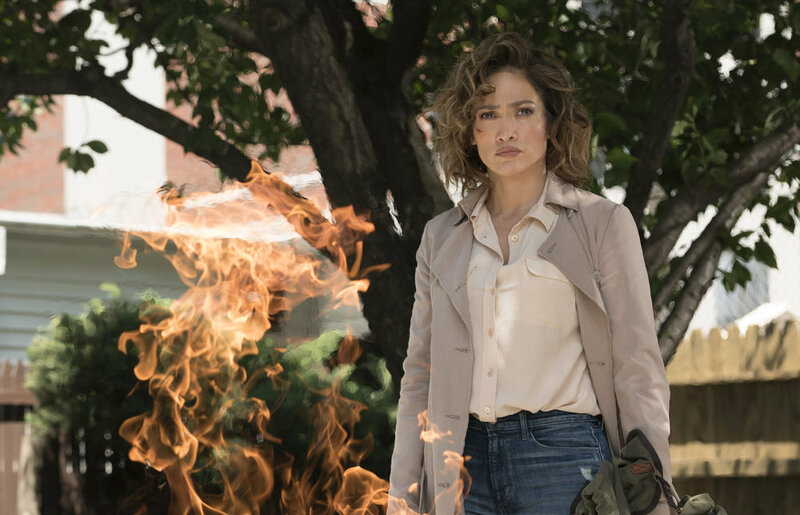 Harlee Santos (Jennifer Lopez) takes drastic measures to cover up the murder of her abusive ex, Miguel. Lieutenant Matt Wozniak (Ray Liotta) makes a deal with FBI Agent Robert Stahl (Warren Kole) to keep himself and his crew out of jail but soon discovers Stahl has led him into an impossible trap. As the crew deals with the fall-out from the failed heist, Tess (Drea DeMatteo) struggles to keep her painful gunshot wound under wraps. Also starring Dayo Okeniyi, Vincent Laresca, Hampton Fluker, Sarah Jeffery and Gino Anthony Pesi. Guest starring Anna Gunn, Margaret Colin, Ritchie Coster and Leslie Silva. Air Date: Sunday, 03/05/2017 (10:00PM – 11:00PM) on NBC.